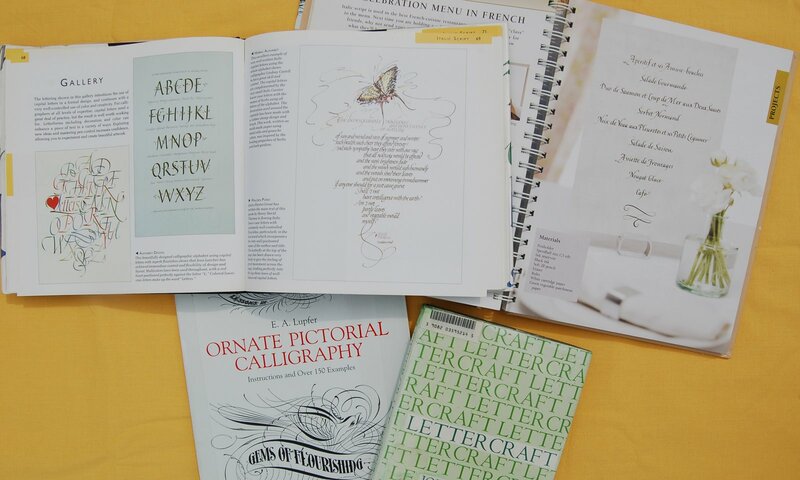 Library Books: The Complete Guide to Calligraphy edited by Ralph Cleminson; Calligraphy Stroke by Stroke by Annie Moring; Ornate Pictorial Calligraphy by E.A. Lupfer; Lettercraft by John R. Biggs. I have always been interested in calligraphy but never really got into it because I never really liked my handwriting. Maybe I should start. These books look great!